Ueno Park (上野公園 Ueno Kōen) is a spacious public park in the Ueno district of Taitō, Tokyo, Japan. The park was established in 1873 on lands formerly belonging to the temple of Kan'ei-ji. Amongst the country's first public parks, it was founded following the western example as part of the borrowing and assimilation of international practices that characterizes the early Meiji period. 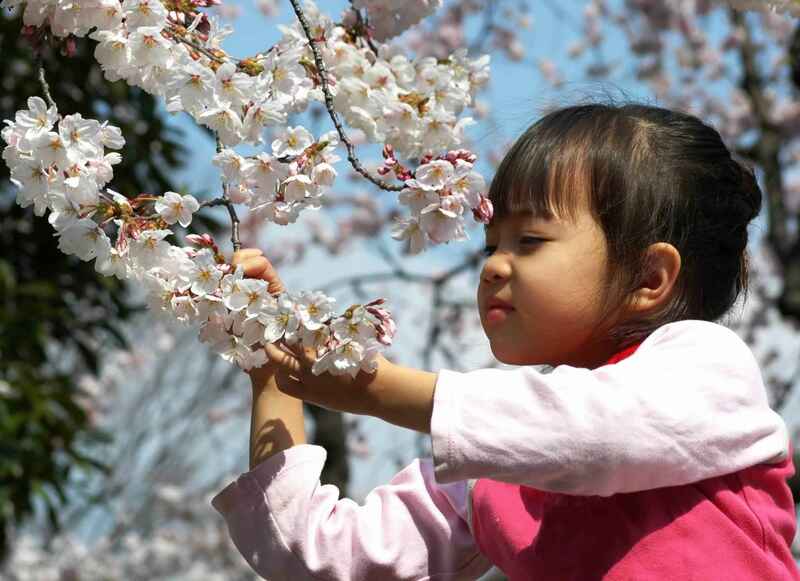 The home of a number of major museums, Ueno Park is also celebrated in spring for its cherry blossoms and hanami. 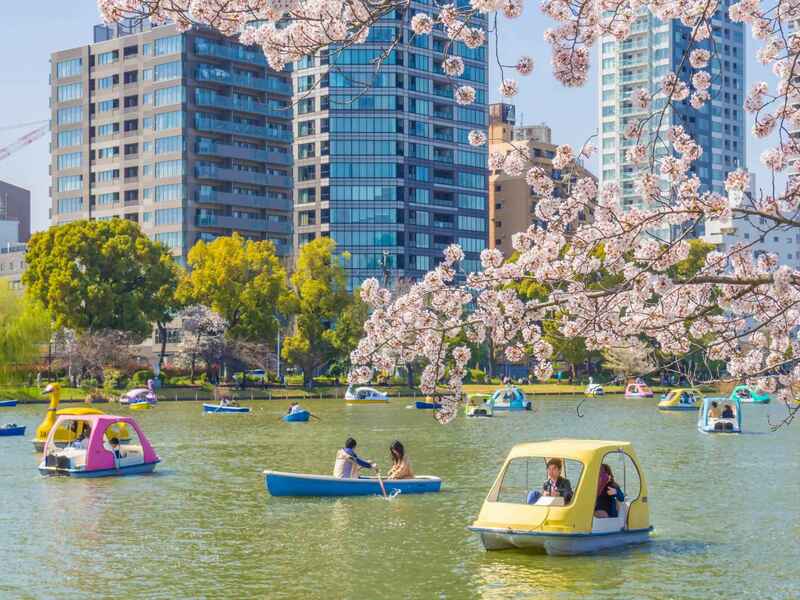 In recent times the park and its attractions have drawn over ten million visitors a year, making it Japan's most popular city park. The park has some 8,800 trees, including Ginkgo biloba, Cinnamomum camphora, Zelkova serrata, Formosan cherry, Somei-Yoshino cherry, and Japanese cherry. There is a further 24,800 m2 of shrubs.Shinobazu Pond is a small lake with an area of 16 ha, extensive lotus beds, and marshland. It provides an important wintering ground for birds. Species commonly found include the tufted duck, Eurasian wigeon, northern pintail, common pochard, little grebe, great egret, and great cormorant. The Baer's pochard, ring-necked duck, and American wigeon have also been recorded. 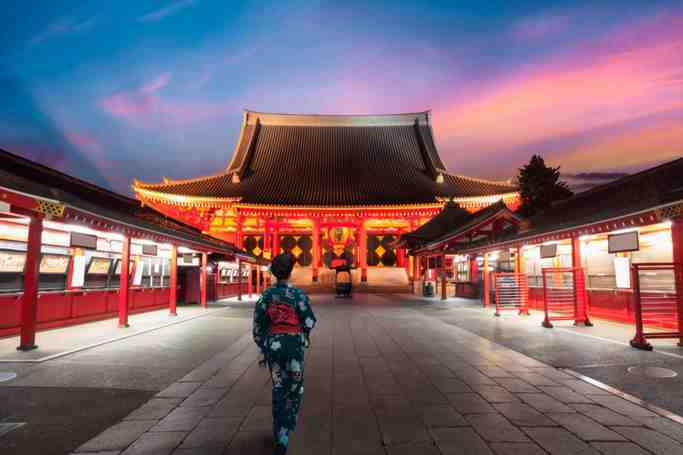 The central island houses a shrine to Benzaiten, goddess of fortune, modelled on Chikubu Island in Lake Biwa. The area was once full of "rendezvous teahouses", equivalent of the modern love hotel. After the Pacific War the pond was drained and used for the cultivation of cereals and subsequently there were plans to turn the site into a baseball stadium or multi-storey carpark. The lotus pond was restored in 1949, although much of it was again accidentally drained in 1968 during work on a new subway line. In all there are some eight hundred cherry trees in the park, although with the inclusion of those belonging to the Ueno Tōshō-gū shrine, temple buildings, and other neighbouring points the total reaches some twelve hundred. Inspired, Matsuo Bashō wrote "cloud of blossoms - is the temple bell from Ueno or Asakusa". Ueno Park is home to a number of museums. The very words in Japanese for museum as well as for art were coined in the Meiji period (from 1868) to capture Western concepts after the Iwakura Mission and other early visits to North America and Europe. The Tokyo National Museum was founded in 1872 after the first exhibition by the Museum Department of the new Ministry of Education. In the same year the Ministry of Education Museum opened, now the National Museum of Nature and Science. The National Museum of Western Art was founded in 1959 based on the collection of Matsukata Kōjirō, returned by the French government after the Treaty of San Francisco. The building is by Le Corbusier who used it to express his concept of the Museum of Unlimited Growth, based on an expanding spiral. It has been nominated for inscription on the UNESCO World Heritage List. Other museums include the Tokyo Metropolitan Art Museum, dating back to 1926, and Shitamachi Museum of 1980, which is dedicated to the culture of the "Low City". The park was also chosen as home for the Japan Academy (1879), Tokyo School of Fine Arts (1889), and Tokyo School of Music (1890). The first western-style concert hall in the country, the Sōgakudō Concert Hall of 1890 (ICP) was donated to the ward in 1983 and reconstructed on another site in the park, where it is used for concerts. The Tokyo Bunka Kaikan opened in 1961 as a venue for opera and ballet, in celebration of the five hundredth anniversary of the foundation of the city of Edo. The Imperial Library was established as the national library in 1872 and opened in Ueno Park in 1906; the National Diet Library opened in Chiyoda in 1948 and the building now houses the International Library of Children's Literature. Tokugawa Ieyasu is enshrined at Ueno Tōshō-gū, dating to 1651. Gojōten Jinja is dedicated to scholar Sugawara no Michizane, while neighbouring Hanazono Inari Jinja has red-bibbed Inari fox statues in an atmospheric grotto. There is a Yayoi-period burial mound on a small hill near the park's centre. For a decade until 1894 there was horse racing near Shinobazu Pond. Nowadays there is a baseball field, named in honour of poet Masaoka Shiki, fan of the sport. As well as the first art museum in Japan, the park had the first zoo, first tram, first May Day celebrations (in 1920), and staged a number of industrial expositions.Ueno Station opened nearby in 1883. After the Great Kantō earthquake in 1923, notices of missing persons were attached to the statue of Saigō Takamori. Ueno Park and its surroundings figure prominently in Japanese fiction, including The Wild Geese by Mori Ōgai. Ueno Park | eTips Inc.